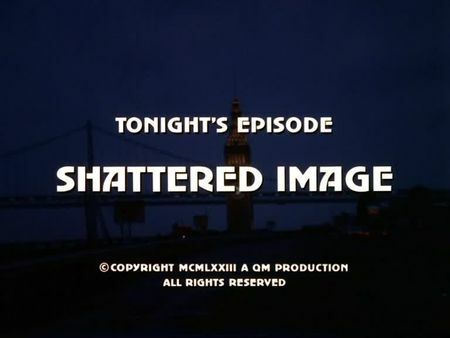 I have just added the screencaps for Shattered Image to the episodes' page. When Fred Marshall, a famous politician, is found harpooned on a pleasure boat, Stone and Keller can hardly count on the cooperation of the victim's private secretary who is trying to protect the image of his boss. Among the suspects are a Senator and a boat builder as well as the private secretary himself. However, the past catches up with Mike when the grieving widow arrives in San Francisco, who turns out to be an old friend of Stone's from his Potrero neighbourhood, and is unexpectedly providing an indication for her husband having committed suicide. Following an attempt on Anna Marshall's life, Stone is even more biased. In the meantime, Steve is investigating the entanglement of the boat builder's charter business, and the puzzle finally makes up a picture. With the killer already detained, Mike and Steve set a trap for the suborner. This episode gets started in the San Francisco Bay where Fred Marshall is murdered on a pleasure boat. Mike picks up Steve at his house on Union Street before our two cops are driving to the Marina District where the boat and Fred Marshall's dead body are inspected in the Golden Gate Yacht Club's basin. Several exterior and interior scenes were taken at the Fairmont Hotel on Nob Hill as well as at San Francisco City Hall, whereas the site of Reid Bradshaw's boat building company is located somewhere in the old industrial harbour area (which is now completely rebuilt) south of Mission Bay. Following their unexpected reunion, Mike and Anne Marshall are talking and walking around on the elevated level of One Maritime Plaza and, later on, moving to their former neighbourhood on Potrero Hill (the former house of Anne Marshall's family is located on Arkansas Street).